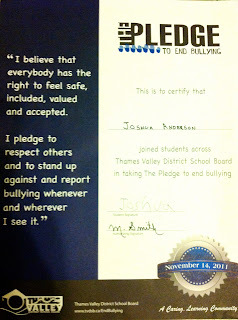 I'm not going to get all preachy about the anti-bullying movement. But I'll let you know I'm 150% behind it. My best friend (and several other very dear friends) are members of the gay community so this hits home. It doesn't stop there. As Americans living in Canada my 10 year old daughter hears "stupid American" at least once a week. I'm over it, and you should be too. There is no reason why anyone should be made to feel less than for being exactly who they are. My children will hopefully not experience the severe bullying you hear about in the media, but I know for damn sure they will never be the bully, nor will they stand by and let it happen to someone else. There is a movement beginning at http://www.standtogether.tv. Check it out. 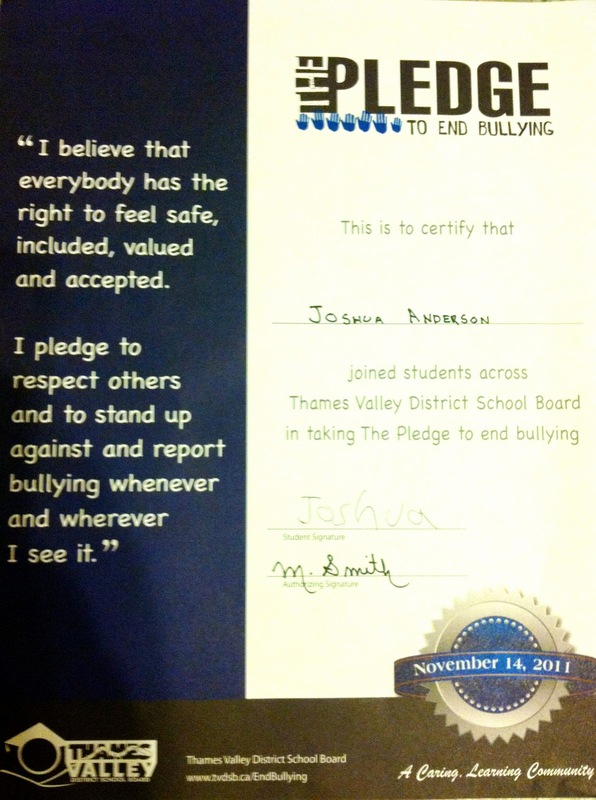 It's a declaration, you are taking a stand against bullying. It breaks my heart every time I hear about a child taking their own life. They haven't even lived long enough to experience life and all it has to offer. These children are the same age as my children. They say you can be a part of the problem or a part of the solution, which side do you stand on?